Welcome to the Red Rubber Designs Week in Review! Each week, time permitting, we'll review the prior week of activity so you don't miss anything! First this week: Don't miss our Scavenger Hunt! 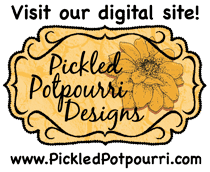 Follow the Blog Hop and play along - contest ends Sunday, June 10th at midnight (US-CT) (that's tonight!). Your successful hunt enters you in a drawing where one random winner will receive a FREE Spotlight Stamp! For our Tuesday Tutorial, we had a sneak preview of the month to come with Paula-Kay's wonderful tutorial that shows us how to easily and quickly put together our Rockin' Roxie Matchbook Album Kit. Everything in our mini-album kits is ready to go for you - just add embellishments, some stamping and your pictures! Then, she goes on to show us how she decorated her matchbook album. It's adorable! Remember that you can always download a free PDF of any of our tutorials in the Red Rubber Designs store. This past week, we officially started the month of June here at Red Rubber Designs with our First Thursday Blog Hop! (Click here to read a little more about what our First Thursdays are all about.) We decided that June = Scrapbooking! 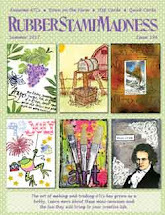 Scrapping of all kinds: Scrapbook layouts, mini albums, art journals, smash books, creating your own embellishments, anything and everything to do with preserving memories - and all using stamps from Red Rubber Designs! Never stamped in your scrapbooks before? We'll show you how! Also for the month of June: We can't talk about scrapbooking without talking about a sale, can we? No, we can't! From June 7 - Wednesday, July 4 (First Thursday of June through First Thursday of July) we have over 150 items on sale at 20% off their already-low prices! Anything and everything you need for your own scrapbooks, art journals and more! Try our quick and easy mini-album kits and you'll have the perfect memento or gift in no time! And yes, they're on sale, too - along with all of our patterned paper! But that's not all! To thank you for supporting Red Rubber Designs, I'm putting an extra free gift in every order over $50 (not including shipping): an exclusive leather photo album with The Angel Company logo on the front! This handsome album has stitched, padded leather covers and holds 36 - 4" x 6" photos. Inside there are clear protective pages with liners to protect your photos. Don’t forget to LIKE our Facebook page! It’s a great way to get advance notice on sales and other fun events! Debra has a fabulous tutorial for Tuesday that shows you how to add lots of fun to your scrapbooks! More scrappy goodness by our wonderful Design Team! Stay tuned!